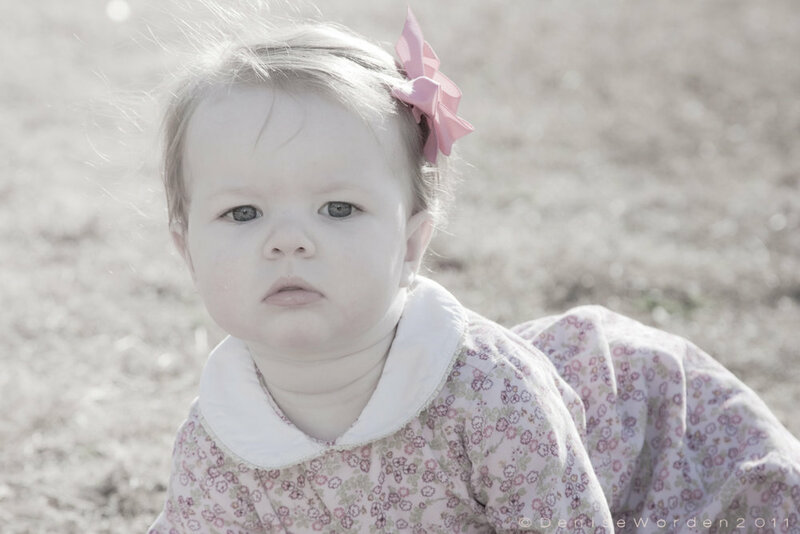 A couple weeks ago I had an opportunity to submit some images for an ad agency wanting shots of a child 0-3 years old. I really wanted to take on the challenge and made arrangements for a couple portrait sessions. Sounds easy, right? Well, sort of. 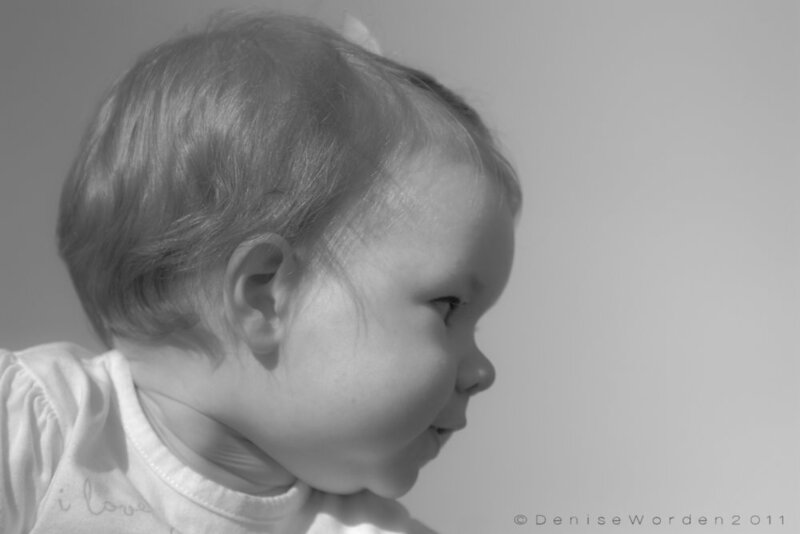 The easy part was making images of two beautiful little girls. What I hadn't prepared for was the energy level of these toddlers! I prefer shooting candid portraits so natural settings are my venue of choice. First was 18 month old Ella. I arrived at Ella's house shortly after she had woken from a nap. I'm thinking "oh, this'll be good, she seems a little shy, I'll talk to her a little, we'll connect, we'll play..." Fast forward to the playground. Who knew a 2'9", 25 pound little girl could run circles around me! Following around a climbing, sliding, jumping, and running child made for a pretty exhausting hour, but her energy and big personality shone through in some really fun and cute candid portraits. Next came little Everil, such a cutie at only a year old. Thinking to myself again "great, after Ella wearing me out, I'm kind of glad Everil isn't walking yet. It'll be a little easier if she's only crawling". It was a beautiful day. We met at a local park and for the second time in two days I was in for a big shock. You Moms out there can stop laughing at my naivte now. At first Everil sat surveying her surroundings as I fired off some test shots, checking lighting and angles. Then she decided to explore a little. I had no idea a toddler could crawl that fast! I was literally running around trying to stay in front of her, I go right, she goes left, laying on the ground for a good angle and then losing it as fast as I get into position. Whew, what a work out! Anyway, it was great fun! Thanks to Desiree for recruiting her friends' kids for me and to Becca and Jesselyn for providing the best models ever!